When it comes to having reliably comfortable indoor air, the expert technicians at Dynamic Air & Heating are the ones to call. Our HVAC company in Cypress, TX, offers a complete range of services to keep your heating and air equipment in optimal condition. Call us today and let us know what we can do for you. From new installation to long-lasting repairs, our professionals do the job right the first time. With our competitive prices and fast response times, we have established ourselves as the company that more residents trust. Whatever make or model your system is, you can depend on our team to get it fully operational. Our technicians bring over 20 years of experience to the installation and repair of air conditioning and heating systems. Our mission is to provide outstanding service that keeps your property at the temperature that’s most comfortable for you. For those problems that strike outside the usual business hours, we offer 24/7 emergency service. Your comfort and satisfaction are always our top priorities. Take a proactive approach to boosting the longevity and performance of your system. 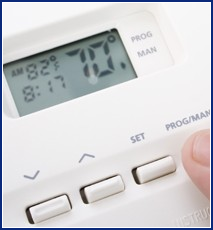 Our AC maintenance is an affordable way to prevent costly problems later on. HVAC systems are major investments in your property. With our services, you can protect that investment and ensure that it keeps you and your family comfortable for many years to come. Our NATE-certified technicians have the knowledge and experience to resolve your system’s issues, and we come with a fully stocked truck that lets us do most repairs on the spot. Experience the difference that our commitment to excellence makes: talk to us about our air conditioning services today. Contact us for all your HVAC installation, maintenance, and repair needs. We proudly serve customers in Cypress, Texas, and throughout the Houston Metro area.